Details about 2pcs x MERCEDES BENZ (30mm) Vintage logo. Domed 3D Stickers/Decals. 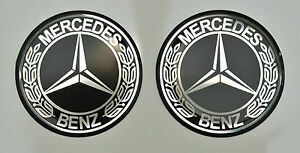 2pcs x MERCEDES BENZ (30mm) Vintage logo. Domed 3D Stickers/Decals.